Apart from network maintenance emails, I've not heard a dicky bird from Ask4 since being moved to them many months ago. They've certainly kept away from this forum for a long while. Does anybody else still have a DR service with Ask4? The Chief Operating Officer of Sheffield-based UK ISP ASK4, Ross Bray, has sent us the following statement. “Yesterday Ask4 were informed that the shareholders of Digital Region Limited had taken the decision to close the network via a managed closure approach. At present there has been no more information provided to ISPs connected to DRL about how this closure will be conducted. All ISPs have been invited to meet with DRL personnel later in the month in order to discuss concerns about the closure. For the foreseeable future the network will continue to operate as normal and there will be no disruption to service. Yeah - I'm with ask4 and they haven't sent or communicates with me since I was moved from ripwire. The service is stable if unremarkable. I don't think there is any fibre future on ask4. Whilst they host the DR service, they don't actively market any FTTC services - so I can't see why they would change that just off the back of DR. 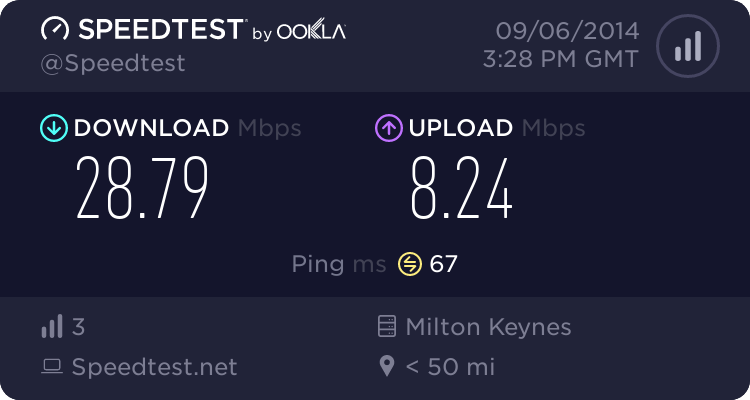 I've been meaning to ring up and get a MAC and move my service to Zen, as I have zero confidence that BT will manage it. I'm hoping the more technically savvy Zen will guide me through. Monday morning I think. I moved to BT, to be honest it was painless. I've got a bit of a "computer says no" issue as the BT broadband checker says I can only get adsl, so the script monkeys won't budge. The wholesale checker says I'm good to go. Yes, I'm still with Ask4 also - no problems with the service, but no communication from them either. (08-02-2014 01:44 PM)pob Wrote: Yes, I'm still with Ask4 also - no problems with the service, but no communication from them either. 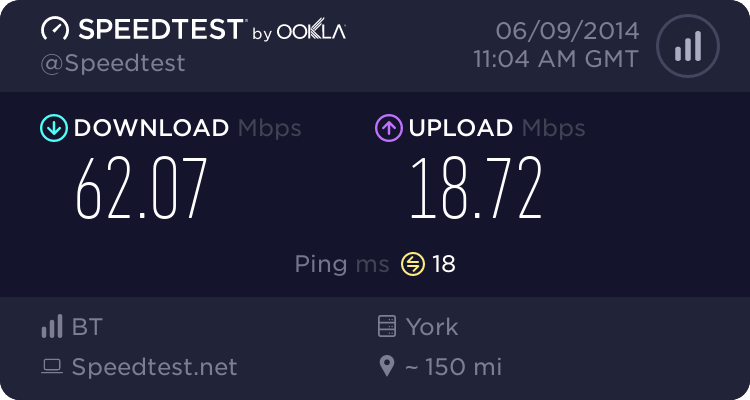 Same here but for me it would be back to 1MB ADSL So I'm testing a EE 4G router at home now and getting 22/12 connection compared to 38/8 on DR so actually faster upload! Not unlimited though so no big downloading or video streaming but fine for normal web browsing/email/spotify etc. Has anyone sent any emails to Ask4 regarding the service? I'm sure someone else has, but has not updated yet. I've sent an email in, so I will reply if/when I get an answer. Quote: Last month Ask4 hinted that they were communicating with DRL and supplier Thales in the hope of expanding the situations where a seamless Migration Authorisation Code (MAC) switch could work. Ask4 advised that customers could already use this when switching to the BTInfinity (FTTC) package but it’s not clear whether that process has now been expanded to include other situations and we are waiting to hear back on that. This would suggest that ASK4 are not looking to retain their DR customers (although the part about using MACs to allow migration to BT is not accurate - you can't - so it's possible the rest is not right either. Just had a reply. They tell me that they haven't had a date communicated from DRL, let alone the 15th August 2014. They are still in discussions and will communicate when they know more..blah...blah...blah. So they are no further forward than 6 months ago. I've received an (unprompted) email from Ask4 today about the forthcoming closure - no new information. I've attached it for those that want to see it.